One of the gladdest moments in life, methinks is the departure upon a distant journey into unknown lands. Shaking off with one mighty effort the fetters of habit, the leaden weight of routine, the cloak of many cares and the slavery of home, man feels once more happy… The blood flows with the fast circulation of childhood … afresh dawns the morn of life. Diary entry of Richard Burton (the explorer, not the actor), December 1856. Lying on the main Trans-African route from Capetown to Cairo, a few of the more adventurous types travel to Tanzania overland from Europe/South Africa. 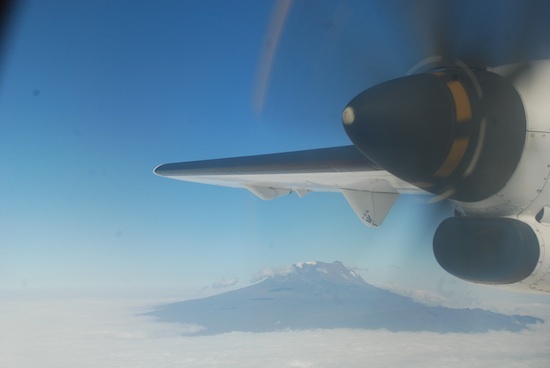 For most, however, travelling to Kilimanjaro involves flying. You’ll find details of both alternatives on the links in this section.